Neutral liquid product formulated with essential oils, solvents and emulsifiers. 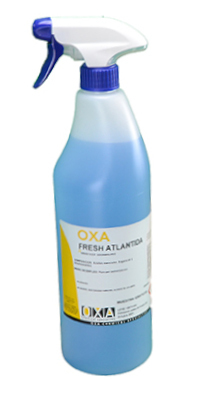 OXA - FRESH Atlantida is a very stable product with an aromatic effect. Its nice perfumes has a long-lasting effectt. Can purify areas such as bathrooms, toilets, urinals, locker rooms, gyms and all kinds of institutional or domestic character rooms.